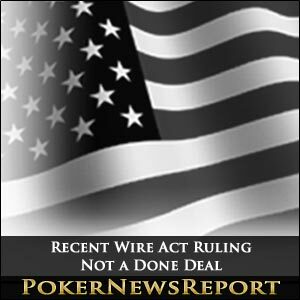 While the online poker industry has been ecstatic with the recent ruling by the U.S. Department of Justice (DoJ) that found only sports betting is applicable to the 1961 Wire Act’s ramifications and not online poker, legal experts have cautioned poker players to curb their enthusiasm, as a DoJ ruling is not etched in stone, it was reported by Reuters. A DoJ opinion can possibly be withdrawn and reversed. Various courts can also intercede, which would void the DoJ’s memorandum. A sure-fire way for the DoJ ruling to stand would be codification by Congress into law. Previously, a U.S. Court of Appeals in New Orleans also ruled that the Wire Act applied only to sports wagering, but a Utah federal judge ruled against it. With the Wire Act still clouded by uncertainty in courts of law, Congress may feel a certain pressure to tackle the issue. However, with upcoming elections slated for November, lawmakers are hesitant to address controversial matters that might anger members of their constituency. 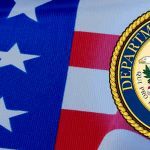 In the meantime, other industry insiders, such as Poker Players Alliance (PPA), are of the opinion that the DoJ Wire Act stance gives an all-clear for online poker legislation to continue progressing. Follow Poker News Report on Twitter to stay informed on the latest poker news.